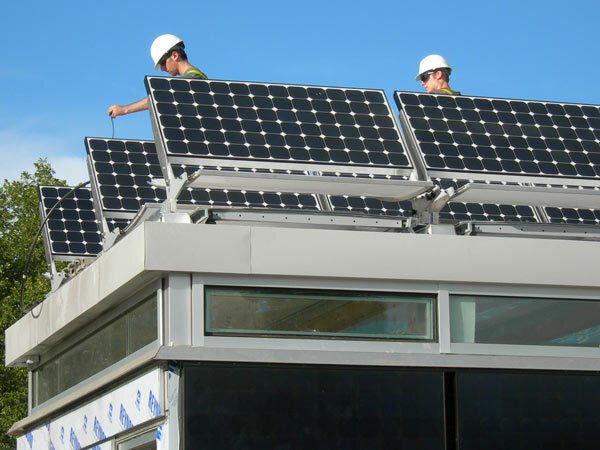 Consulted on the redesign of a motorized roof shade mechanism for the Georgia Tech Solar Decathlon House. The original design relied on an over constrained system using a curved shaft sliding through two rod ends, with a rubber friction drive wheel. These three rigid constraints caused the mechanism to only work when the shade was in a certain position. In other positions, there was not enough contact force between the shade and the wheel to drive the shade. The redesign was limited, because the original design had already progressed so far that I could not remove the curved shaft sliding through the two rod ends. 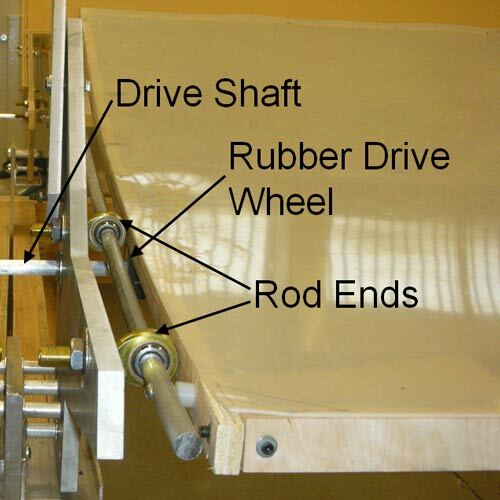 The original design utilizing a rubber drive wheel. The original design shown above slipped, providing inconsistent motion. The slipping also caused the shade to rack (locking up due to twisting because both sides do not translate the same amount). Due to lack of time, and redesign limitations, an easy and reliable solution had to be found. I chose a chain drive for simplicity, and non-slip property. Sprockets position the chain drive such that the force is inline with the direction of sliding. 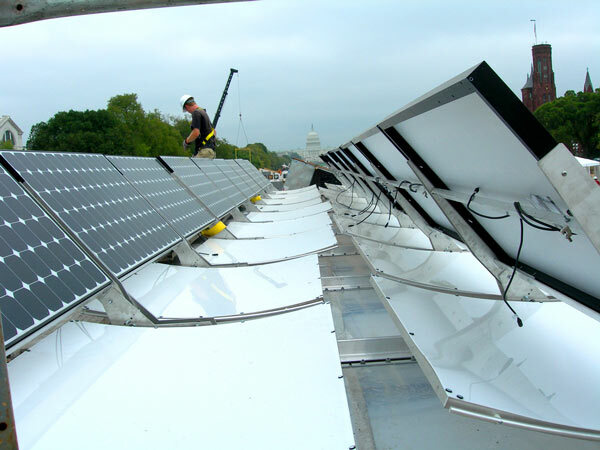 The images below show all the shades installed at the competition site in Washington DC. The shades are not inline because the installation is incomplete. After installation is complete, all the shades will be inline, and move together. 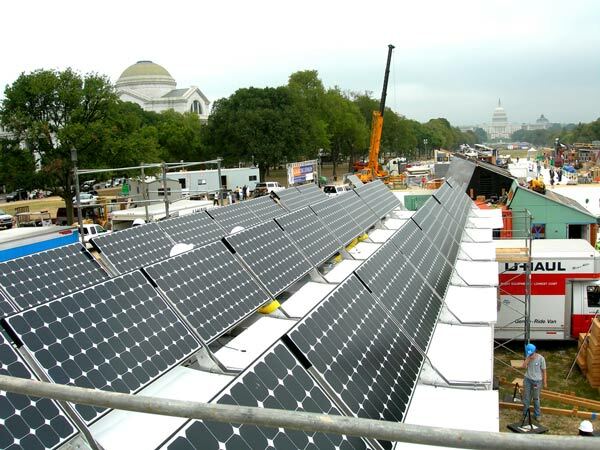 Following photos taken by GT SolarDecathlon Team in Washington DC.